Allows admin to easily spawn props. Just type !props, select a category, and finally select prop. 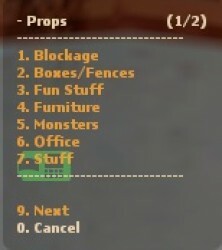 There's a TXT file where you set categories and props. Very easy.